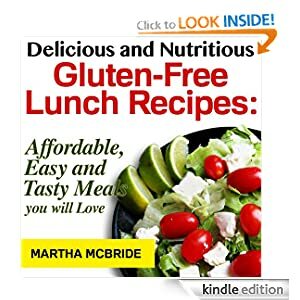 Get a FREE download of the eCookbook Delicious and Nutritious Gluten-Free Lunch Recipes: Affordable, Easy and Tasty Meals You Will Love. This book features lots of recipes including snacks, salads, a light and crusty bread recipe and lots more. Download the book for free to your Kindle, iPad, iPhone, PC or other compatible device. You can download a FREE Kindle app for your Web Browser, PC, Mac, iPhone, iPad, BlackBerry, or Android Phone. Keep in mind that while the book is free right now, the price may change at any time. Thanks, What’s In My Book Bag!